Nicole Kushner Meyer is apologizing for mentioning her brother, Jared Kushner, a senior White House adviser and son-in-law to President Donald Trump, during an investment conference in China over the weekend. “In 2008, my brother Jared Kushner joined the family company as CEO, and recently moved to Washington to join the administration,” Meyer said at the conference aimed at encouraging Chinese developers to invest in a New Jersey real estate project, according to CNN. On Monday, Kushner Companies said Meyer’s remarks were not meant to motivate investors to sign onto the real estate project. “Ms. Meyer wanted to make clear that her brother had stepped away from the company in January and has nothing to do with this project,” the company said in a statement. Meyer never mentioned the president’s name during the investor event, but Trump’s photo was seen in a slide at the conference that detailed the “key decision makers” on the EB-5 program, CNN reports. “Kushner Companies had nothing to do with it,” the company said. The EB-5 visa program encourages wealthy foreign nationals to make substantial investments in U.S.-based business ventures in exchange for a Green Card and a investor visa. 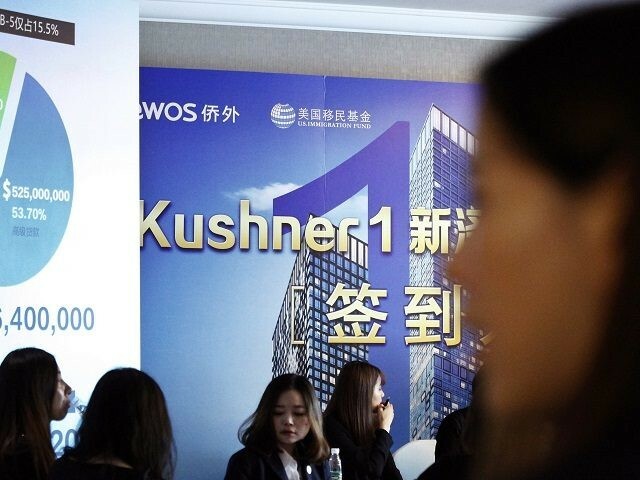 Saturday’s event was hosted by Qiaowai, a Chinese company seeking funding for the Kushner 1 project in New Jersey. Reuters reports that journalists were “barred” from the event. 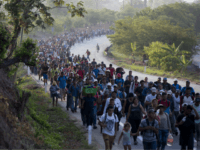 The program has come under intense scrutiny by both Republicans and Democrats. California Democrat Sen. Dianne Feinstein opposes the EB-5 visa program, arguing that it allows monied foreign nationals to use their wealth to buy visas and U.S. citizenship. The program — which was extended and sneakily slipped into the latest spending bill — is rife with abuse, leading to fraud convictions. GreenTech Automotive, the electric car manufacturer co-founded by Virginia Governor Terry McAuliffe — funded in-part by EB-5 visas granted to Chinese investors, and pushed through the politically-driven approval process by Tony Rodham, Hillary Clinton’s brother — failed to make its first payment on a $3 million loan from the state of Mississippi. The company shuttered its Mississippi factory earlier this year. Jared Kushner stepped away from his family’s business after becoming a senior adviser to President Trump. He is married to Trump’s daughter Ivanka, who also serves in the White House as an assistant to the President.